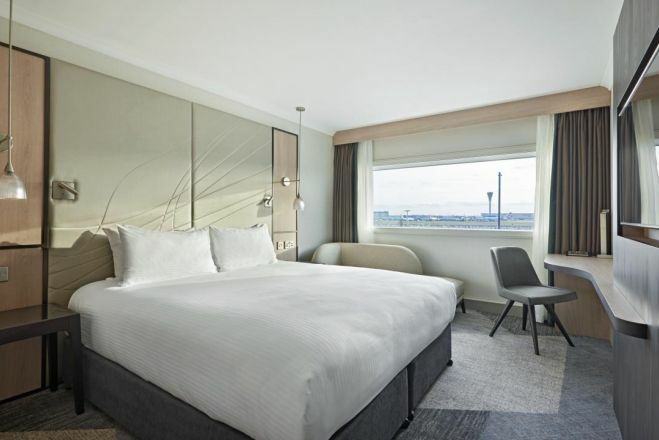 Hyatt Place London Heathrow Airport Make your day hotel stay enjoyable and comfortable by booking your day stay at Hyatt Place London Heathrow Airport. 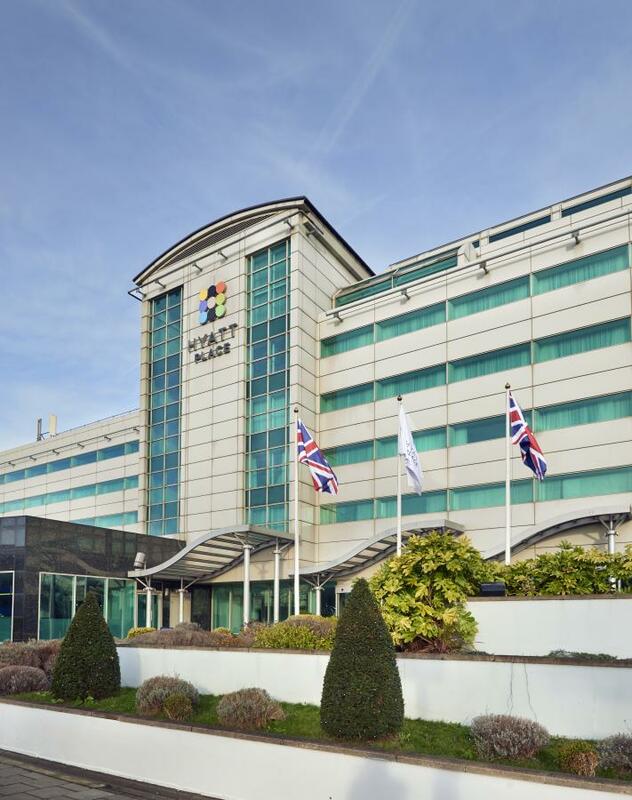 Hyatt Place London Heathrow Airport is an upscale transfer hotel perfect for business trips and family vacations. Your elegant, air-conditioned room will include hi-tech amenities such as complimentary toiletries, chaise lounge chairs, laptop safes, mini-fridges, large TVs, coffee & tea machines, and hairdryers. When you're hungry, head to the day hotel's restaurant and check out the a la carte menu with delicious dishes. If you're in a hurry, the 24/7 Gallery Market will offer you delicious grab'n'go snacks. For your daily workout, this day stay hotel has a well-equipped fitness center on-site with exercise balls, dumbbells, and machines. 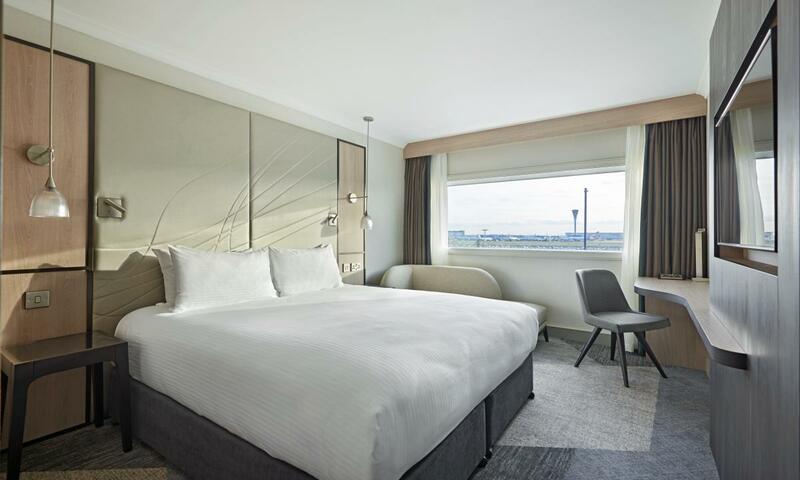 Book your private day room at Hyatt Place London Heathrow Airport and experience the comfort and convenience you deserve! 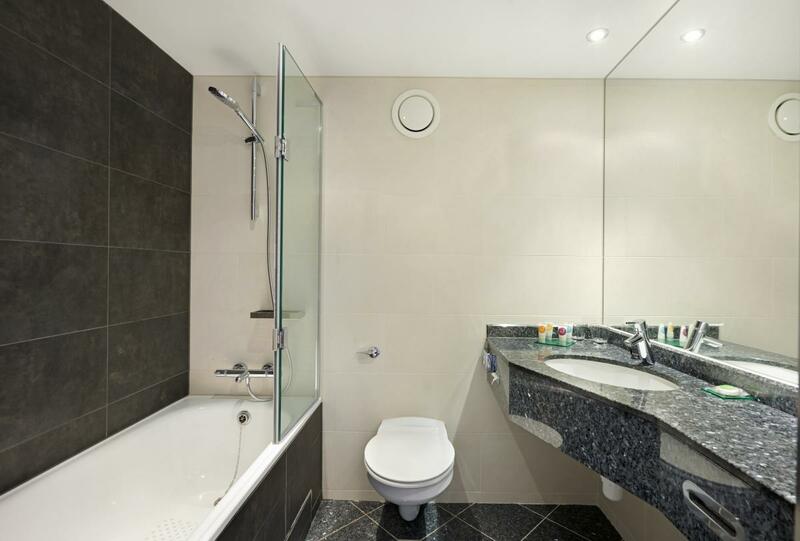 Staying at Hyatt Place London Heathrow Airport will make London sightseeing a breeze. Located just outside the airport, this day booking hotel is nearby Terminals 2, 3 and 5 and close to several attractions. London Motor Museum — Explore a spectacular collection! London Motor Museum features an impressive showroom with classic cars from the 1930s to the present day. Take your time and check out the exhibits while you learn a lot of fascinating things. Osterley Park — Take a relaxing walk! This green park is the perfect place for strolling, jogging, having a picnic, or just admiring nature. There are a lot of photo-ops along its alleys, so make sure to grab your photo camera! Windsor Castle — Learn about royal history! Windsor Castle is not only the favorite weekend castle of the Queen but also one of the most popular tourist spots in the UK. Featuring a luxurious interior, a beautiful chapel, and the incredible Dolls' House, visiting this place will make you feel like part of a fairytale!